CBS All Access subscribers, you’re about to enter The Twilight Zone with Jordan Peele as your tour guide. A reboot of the classic sci-fi series has premiered on CBS’ streaming content service, with Get Out writer and director Peele developing the project and serving as the series’ host. Production on the first 10-episode season of the series began in 2018 and the series premiered April 1 on CBS All Access. You can currently watch the first episode of the series without subscribing to CBS All Access. Here’s everything we know about The Twilight Zone series so far. Following the series’ debut on April 1, CBS made the first episode of The Twilight Zone available on YouTube to watch without a subscription to CBS All Access. Titled The Comedian, the episode is available on the YouTube channel for CBS All Access. In late March, CBS All Access released an “extended trailer” (see above) for The Twilight Zone that packed quite a bit of footage from the first season into 96 seconds. That extended trailer was preceded by a pair of trailers focusing on two of the episodes from the first season. The first trailer put the spotlight on Nightmare at 30,000 Feet, an episode starring Adam Scott that derives its title from the original series’ famous episode Nightmare at 20,000 Feet (in which William Shatner glimpses a terrifying creature on the wing of an airplane midflight). The second trailer offers a preview of The Comedian, an episode starring Kumail Nanjiani and Tracy Morgan. A month earlier, the series got its first full-length trailer, which features many of the first season’s key cast members, as well as Peele himself in the traditional suit and tie worn by the show’s hosts, most notably series creator Rod Serling. Episodes appearing in the first season seem to involve elements of time travel and other science-fiction themes, along with the sort of dark undertones the show is known for. Previously, The Twilight Zone got some prime-time promotion with a teaser that aired during Super Bowl 53 on Sunday, February 3, and featured Peele entering an empty stadium and introducing the series. The show’s April 1 premiere date was also officially confirmed in the teaser, with the second episode airing April 11. 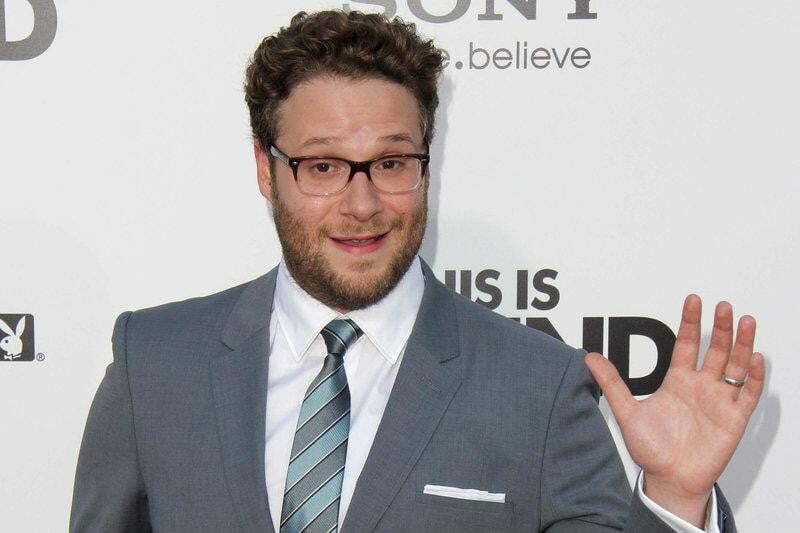 The most recent addition to the first season’s cast was Seth Rogen (pictured below), with Deadline reporting that the Pineapple Express and Knocked Up actor will star in an episode of the series. Casting for the series first got underway in late 2018, with a host of familiar faces joining the show in the months following the initial announcement of the project. 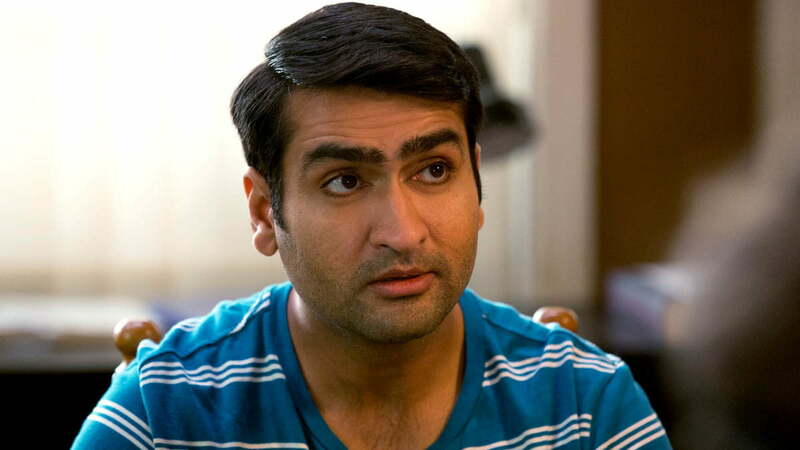 Among the first cast members announced for the series was The Big Sick star Kumail Nanjiani (pictured below), who stars in an episode written by Alex Rubens (Key and Peele), according to Deadline. He joined a cast that also includes Greg Kinnear (Little Miss Sunshine), John Cho (the Harold and Kumar franchise), Ike Barinholtz (Blockers), Taissa Farmiga (The Nun), Ginnifer Goodwin (Once Upon a Time), Sanaa Lathan (The Best Man), Adam Scott (Parks and Recreation), Rhea Seehorn (Better Call Saul), Allison Tolman (Fargo), Jacob Tremblay (Room), DeWanda Wise (She’s Gotta Have It), and Steven Yeun (The Walking Dead). In early October 2018, CBS released a brief video (see below) announcing that cameras are rolling on the show. The initial announcement of the project was made during a company earnings call by now-former CBS Corp. CEO Leslie Moonves in November 2017, per The Hollywood Reporter. This was followed by the first, creepy teaser for the series, which was released earlier this year and offered a preview of Peele’s delivery of the show’s iconic introduction — made famous by original host and creator Rod Serling. CBS TV Studios president David Stapf indicated that “because it’s anthological you don’t need to look at it as who’s the showrunner.” Peele, X-Men franchise producer Simon Kinberg, and Daredevil and The Defenders showrunner Marco Ramirez will serve as executive producers for the series. The Twilight Zone originally ran for five seasons between 1959 and 1964, and encompassed 156 episodes blending the sci-fi, fantasy, and horror genres. The stand-alone episodes told cautionary — and occasionally terrifying — tales that inspired generations of filmmakers in later years. Two revival series aired in the following years, with one premiering in the 1980s, and the other from 2002 to 2003. In 1983, John Landis and Steven Spielberg produced a feature-length film based on the series. The movie featured four segments, directed by Landis, Spielberg, Joe Dante (Gremlins), and George Miller (Mad Max: Fury Road). Miller famously directed a segment about an airline passenger played by John Lithgow who sees a terrifying gremlin on the wing of the plane. The segment was an expanded retelling of an episode from the original series in which William Shatner played the passenger. In June 2018, Warner Bros. Pictures announced plans for a new movie based on The Twilight Zone. Screenwriter Christine Lavaf (Falling Skies, 666 Park Avenue) was hired to pen the script, which was expected to tell a single story instead of several anthology tales. Previous iterations of a planned Twilight Zone movie had Matt Reeves (War for the Planet of the Apes) and Joseph Kosinski (Oblivion) attached as directors at one point, only to fade into development limbo. Updated on April 1, 2019: Added a link to the first episode of the series, available to watch on YouTube.